Whether you are dreaming of traditional or contemporary, all our kitchens are designed to be functional, yet beautiful - and with a range of styles to choose from industry leaders such as Omega English Rose, Crown Lifestyle and Eco, Clacton Bathroom Centre can create the most cost effective, and highest quality option for you, regardless of how much space you have. We sell a variety of free-standing or integrated kitchen appliances, that incorporate the very latest technology, from leading brands such as Bosch, Hotpoint and Whirlpool. We can also add those essential finishing touches, with a range of sinks, taps and worktops to complete your kitchen to perfection. Omega English Rose kitchens are British made, beautiful and practical spaces designed to provide the perfect focal point for the modern British home. Available in an extensive range of styles, these kitchens are multi functional spaces that can be customised to suit individual tastes and needs. Omega English Rose kitchens are available in three categories: Shaker, Modern and Traditional. The popular Shaker kitchen, with its iconic framed door, is available in a wood-grain, smooth painted or high gloss finish, whereas the Modern kitchen offers designs with extra features such as an island or statement handles, sure to give your kitchen that 'wow' factor. Omega Traditional kitchens are timeless with outstanding attention to detail, making this style of kitchen really stand out. Crown kitchens are also British made, and have been popular for over 40 years due to the extensive range available, no matter what space you might have. Crown Lifestyle kitchens come in three different categories; Modern, Elegant and Traditional. The Modern range offers 40 different doors to choose from – including high gloss doors to make that extra statement. Classic and sophisticated, Crown Elegant kitchens are beautiful, from the timeless cream shades to natural wood grains. The Traditional kitchen range offers an incredible 60 painted door choices in a range of colours. To complete your Crown Lifestyle kitchen, there are a wide selection of handles, as well as inside storage solutions for your new drawers and cupboards. British made since 1868, Eco offer both contemporary and chic kitchens as well as those with a more traditional design. With over 20 beautiful ranges available, Eco kitchens come in a choice of colours with appliance housings and larders supplied complete with colour coordinated ends as standard. Whether you want modern kitchen, with sleek, clean lines or a more classical country style kitchen with timeless elegance, Eco caters for all styles and tastes. Eco kitchens also provide a huge selection of worktops and handles, and various inside cupboard storage systems, such as pull outs and dividers to keep your kitchen well organised. Here at Clacton Bathroom Centre we sell many varieties of kitchen worktops, including those from leading brands Maia and Minerva. Extremely durable, and requiring little maintenance, our laminate worktops are excellent in price, and available in a massive 120 colour and texture choices. We also offer 11 finishes for laminate worktops with options from ultra matt to high gloss. Our solid surface worktops are offered in many different colours, and all are available with a semi-sheen finish. These worktops are stain, heat and scratch resistant, making them a perfect choice for your kitchen. Stain resistant and easy to maintain, granite worktops are another popular option, due to their strength and durability. Why not call into see our extensive range of worktop samples on display in our showroom. At Clacton Bathroom Centre we sell many different brands of appliances, including Bosch, Neff, Hotpoint, Prima, Indesit, Whirlpool and Essentials. We have appliances that will fit effortlessly into your kitchen, with their beauty and brilliance, or with technology and style. Our appliances can either be free-standing, built in or integrated, depending on your own particular taste and style of kitchen. We offer the following appliances for your kitchen: ovens, washing Machines, fridge/freezers, hobs, dish washers, tumble dryers and chimney/extractor hoods. We sell both gas and electric ovens, in both single and double size. We supply a wide range of hobs, including gas, electric, ceramic and induction. 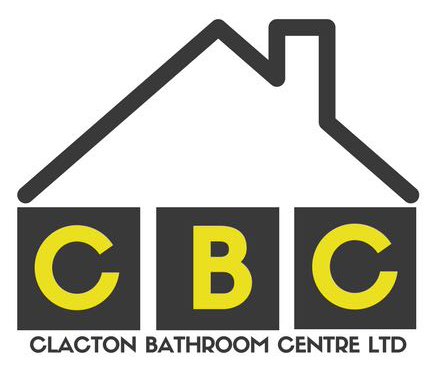 Here at Clacton Bathroom Centre, we sell a wide range of sinks and taps from many reputable, well-known companies, including Carron Phoenix, Astracast, Rangemaster and Franke. Choosing your sink can be an important decision, as it needs to be aesthetically pleasing as well as being practical for your needs. Colour, size and shape all need to be considered, as well as whether to choose a stainless steel, ceramic or granite sinks. Taps are the perfect finishing touch to any kitchen and we offer a range of styles that are sure to complement any kitchen design. Carron Phoenix, Astracast, Rangemaster and Franke all offer beautiful and varied option including different finishes, pressures and look. Pop in store today to have a look at some taps on display, or to pick up a brochure.